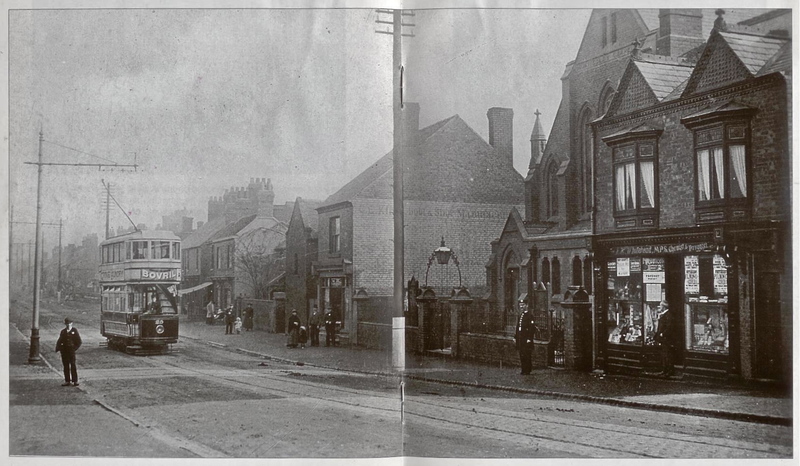 Walsall Wood High Street in earlier days... how much do you know about the history of our area? Photo taken from the wonderful 'Memories of Old Walsall Wood' by Bill Mayo & John Sale. In the week, reader David Evans had a cracking idea. He’s submitted a huge list of local history questions to test how much readers know about local history, and hopefully, it’s serve to provide a point-by-point guide to our past. I’ve added the quiz to the tabs at the top of the page, so that it’s always accessible, and I’ll publish part two next week. Please feel free to comment, reminisce, argue, jeer and just generally chew the fat over the questions raised. Many of the younger readers and newcomers to the area won’t have a clue what we’re talking about (hell, I only know 80% of them…), so this is an opportunity for discussion and sharing of memories. David’s focus is obviously Walsall Wood, so I’d like other readers contributions for a companion, Brownhills-centric version, please. Please submit questions to brownhillsbob at googlemail dot com. I’m really keen on this and eager to see how it flies. This entry was posted in Brownhills stuff, Churches, Clayhanger stuff, Environment, Features, Fun stuff to see and do, Interesting photos, Local History, Local media, Reader enquiries, Shared media, Shared memories, Social Media, Walsall community, Walsall Wood stuff and tagged Bill Mayo, Brownhills, Brownhills local history, Canal, David Evans, John Sale, just for fun, Local History, local test, Memories of old Walsall Wood, New Photos, quiz, Shire Oak, Silly, Staffordshire, Stonnall, Walsall Wood. Bookmark the permalink. 1 Response to Who fancies a challenge? My great grandparents lived in the Bee hive. I have photos of them outside it. Also I know there was a soup kitchen in walsall wood.